Musikvergnuegen partnered with yU+co for LA's largest and most successful New Year's Eve outdoor event. 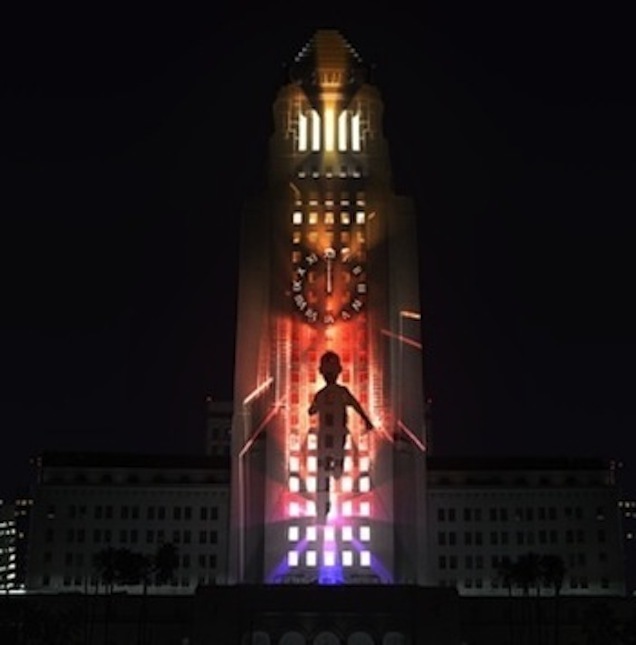 An estimated 40,000 people were entertained with 3D projection mapping on the most well-known, 22-story building in LA, City Hall. MusikV wove a tapestry of music from The Doors, Kanye West and Pink Floyd into original music compositions and sound design for the soundtrack to this live experience.